This past year was a good one for finding old bottles in the rivers as can be seen by the crowd of them gathered atop my stove. I'm not sure why there were so many this year. Perhaps it's due to some slowing down on my part, or perhaps the bottles just grew weary of hanging out in the river. At any rate these old vessels, in my opinion, have far more character than their present-day counterparts. Most were from my local waterways: Assabet, Concord, Nashua, and Sudbury rivers and Nashoba Brook. 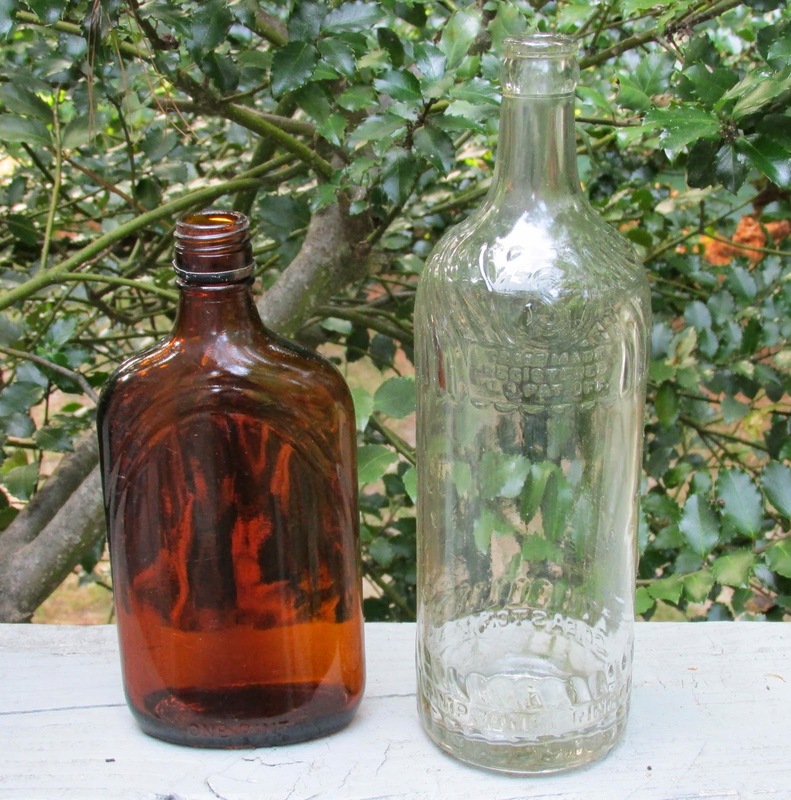 One from further afield was a Nemasket Spring bottle from the Nemasket River. Well, there they are, the winning 2014 River Bottles all hailing from SuAsCo waters. Awesome finds! I honestly thought I was one of the only paddlers in mass that enjoys picking up trash. Guess not! Very glad I found this blog. Maybe I should start one too! Keep doing what your doing man! Hello Jeremy and thanks, Always good to hear from other paddlers who pick up trash. I'm sure there's room for another blog should you start one. The more the merrier! Great selection. Hard to pick a favorite. The cream top milk bottle sure is elegant. My mom has mentioned those bottles and how you could skim the cream off the top for various uses. Hello George, the bottles may reflect a natural progression: milk, vodka, whiskey, then milk of magnesia. Generations of the glass family. Thank You for introducing us to them.